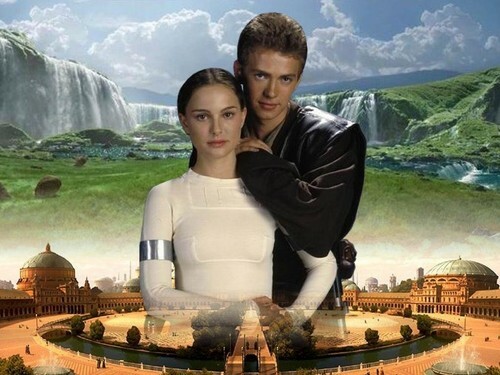 Anakin and Padme, Naboo. . HD Wallpaper and background images in the Anakin and Padme club. This Anakin and Padme wallpaper might contain 荣耀洞, lazaretto, 荣耀孔传染病医院, 度假区, 度假酒店, 度假胜地, 度假村, 酒店, and 旅游度假区.